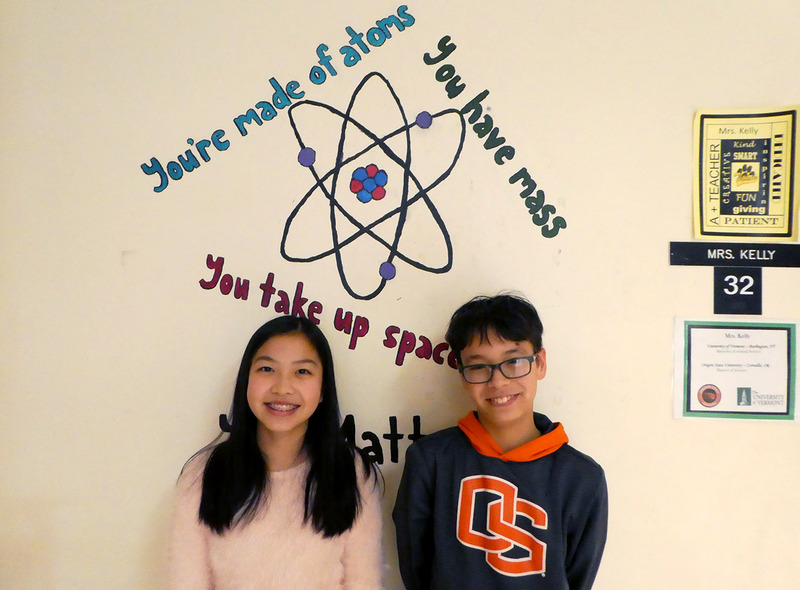 North Albany Middle School sixth grader Ming Wong (pictured, right) and seventh grader Caroline Gao are winners in the Willamette Valley Section of the Society of Women Engineers Essay contest. The essay submissions were part of a December homework assignment for science classes taught by Katy Kelly and Mary Hannan. 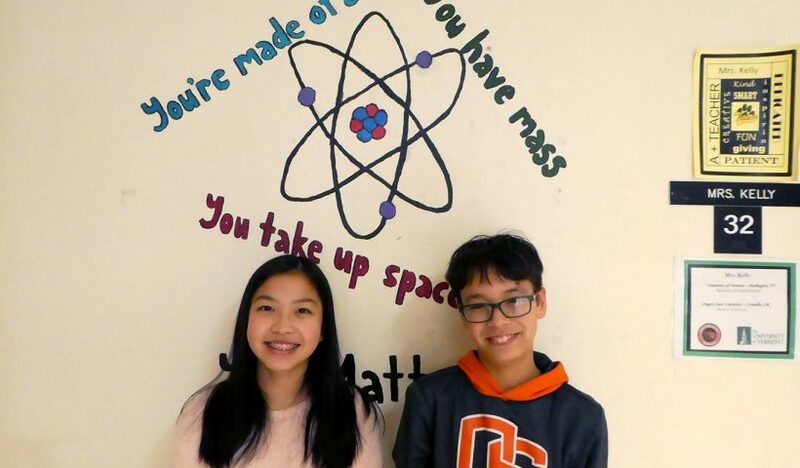 They each wrote an essay on a famous woman scientists or mathematician. “Mary and I are super proud of these young women and how they are representing Albany and the future of science,” said Kelly. The students will be honored at a banquet at the end of February.